How to Fix macOS Mojave Screen Resolution on VMware on Windows & macOS? With the Release of macOS Mojave, iOS 12, iPhone Xs, X max and X r, Apple has abandoned all its Competitors on the market. And right they are the solid company in Field of computer and mobile technologies. Since the Mac users are super excited to use the new operating system of Apple MacOS 10.14 Mojave, Windows user are looking forward to testing that on the windows system. Yet, Windows Users are able to test macOS 10.14 Mojave on Virtual Machines such as VMware and VirtualBox, also they are able to Install macOS Mojave on PC. Those Windows Users who are testing macOS 10.14 Mojave on VMware or VirtualBox they are facing many errors back to back. They are able to solve many of those errors, but one of those errors which they are facing the Screen resolution on VMware and VirtualBox. That’s’ why today I am going to show you How to Fix macOS Mojave Screen Resolution on VMware? But for VirtualBox, You have to wait until I should do some test. If your system has a display of 4k, 2K or maybe Full HD, then you have faced the screen resolution error on VMware. 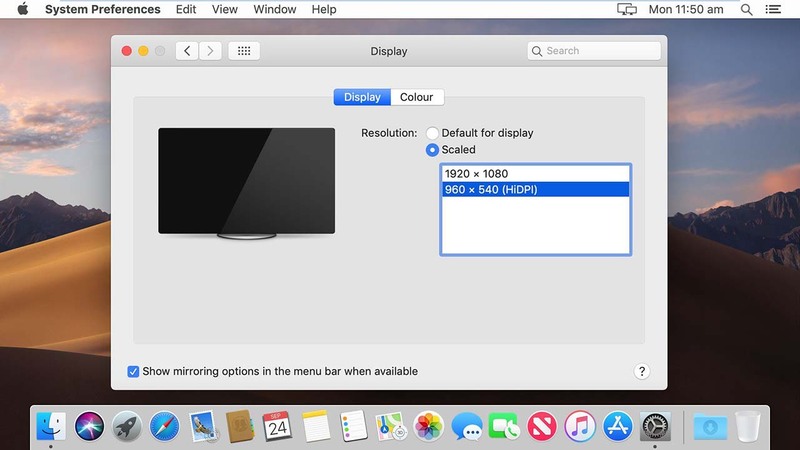 If you have opened the Display settings and you have selected 1920 * 1080, after some seconds it turns back to 960 * 540 (HidDPI). Step 1. In order to Fix the macOS Mojave Resolution on VMware on Windows 10, First Open Spotlight whether by opening it from menu, Launcher or by the spotlight. Step 2. Once the Spotlight is opened you have to search for Terminal and when it comes you have to open it. Step 3. 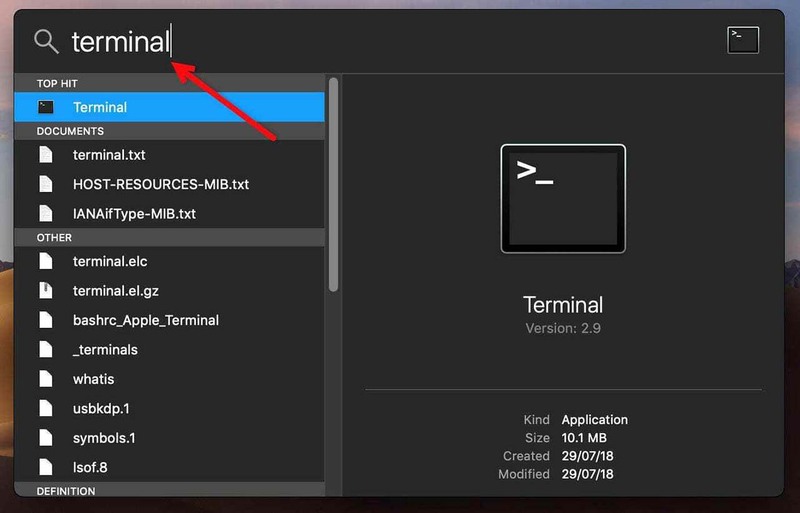 Once you accessed the terminal you have to paste the below commands in it and hit enter on the keyboard. Once the command it applied you have to enter your login password in order to confirm the process editing the default setting of macOS Mojave. Step 4. Now, close the terminal and open restart your system. well, It was all about How to Fix macOS Mojave Screen Resolution on VMware on Windows 10 and macOS. I hope it was helpful for you and you have fixed the Resolution Problem. If you really liked the post please share on Facebook, twitter also subscribe to IntoGuide Channel on YouTube. How to Install macOS Mojave on PC-Hackintosh? Well, in order to Install macOS Mojave on PC-Hackintoh, first you have to create a bootable MacOS Mojave USB. Once the Flash Ready You have to copy all kexts files in it. after that, you can install macOS Mojave on PC-Hackintosh. For more and Complete Details, I recommend you to read the Below Post. The Next Post which I recommend for is installing macOS Mojave on VMware, by which I am always creating Bootable USB for mac. Everytime I an creating a macOS Mojave Bootable USB with TransMac on Windows, it doesn’t work. But VMware is the only Program which I am 100% sure. How to Install macOS Mojave 10.14 on VMware Workstation on Windows 10? Please try the below command, it is slightly different than the previous which you used. not effect with the two commands you gave. Once give a try to the New VMware tools, or you can simply use the VMware Workstation Pro 15 which has fixed the problem of full screen. Hi, I installed VMware Workstation Pro 15, nothing has fixed. Same tring even the string on Terminal. How did you get the full screen mode ? It will help you to enter full screen, moreover, try to install VMware tool to solve the problem. 2. Virtual Machine -> Reinstall VMware Tools. Open volume “VMware Tools”, double click “Uninstall VMware Tools”, then reinstall it. Now whatever size window, including full-screen, runs at the proper resolution. Thank you, Andrew, for the solution. After this simple disable SIP csrutil disable and reinstall VMWare Tools.